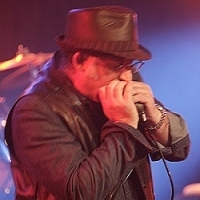 Australian Blues singer, Smokin Sam, is a Melbourne-based blues harmonica player and session musician who plays his own brand of Australian Blues. 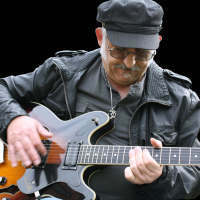 He is equally at home as a blues or funk vocalist. Sam travels around Victoria as a special guest or with his All Stars band performing his unique style of blues music and contemporary rock. Playing a range of music genres from blues and rock to funk, Sam has a unique voice and sings and plays harp in his own soulful style, whether playing his own original songs or covers. As a song writer, singer, harp player and performer, his story-telling lyrics and music are played with passion and soul. Whether performing with his blues bands - either as Synergy Blue or his newest band Cargo Blues Band, or simply as Smokin Sam himself - his combination of solid vocals accompanied by his trademark blistering-yet-soulful blues or funky harp renditions of yesteryear or today's sounds, leaves audiences applauding for more. Smokin Sam, a unique and passionate Blues artist, is truly on the scene! 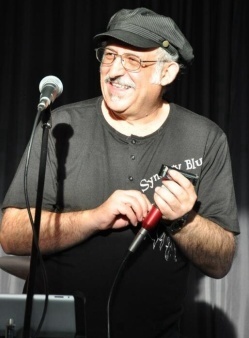 Song “Killer in Me” showcasing renowned Australian blues musician Smokin Sam Salzone on harmonica. The song marks the first single release from the monster soundtrack to Jarratt’s new release film and directorial debut, STALKHER. Recorded in Melbourne’s Backlot Studios and tended to by a stellar production team, Killer In Me boasts all the hallmarks of top-notch country pop/rock. The track also features Jarratt’s Stalkher co-star and three-time AFI nominee, Kaarin Fairfax on backing vocals. 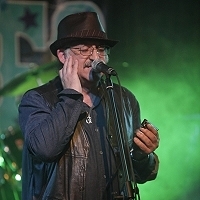 Smokin Sam Salzone has a strong presence in the soundtracks through the whole move on his killer harmonica. You learn notes to play to the music of your soul."